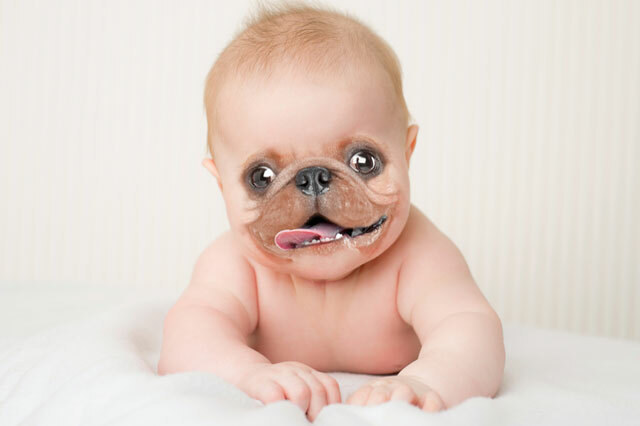 What If My Babies Are Ugly? Yesterday my wife took the Boys out for a stroll along with our dog Winston. She figured walking in public with 10 week old twins boys would involve a lot of people stopping to fawn over them asking to hold them and talk about how incredibly adorable they are. But you know what? She got nothing. Not one person stopped her to tell her how cute the boys were, ask how old they were or if they could hold them. On the other hand, three different people stopped to pet Winston…the dog. One group of three actually asked to have their picture taken with him! As far as dogs go, I’d qualify Winston as handsome. He’s not the dog equivalent of George Clooney, but he’s definitely good looking enough to be a contestant on the Bachelorette, if they did that show with dogs. Which, I think they should. 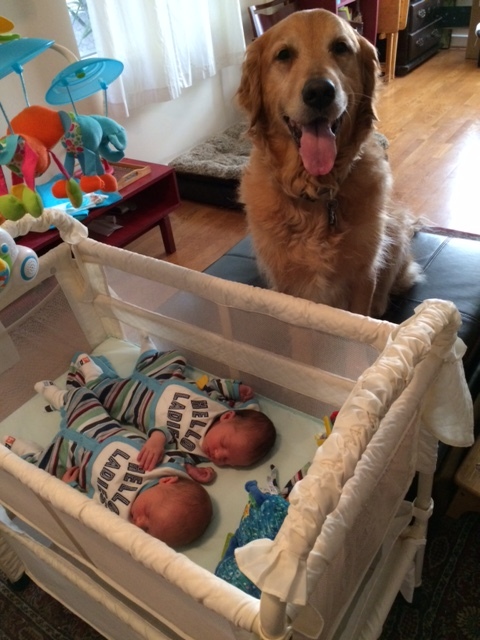 The point is, Winston is a dog and he should not be pulling the attention away from babies. Unless of course my babies are…not attractive. I’m trying to be objective. These kids have my genes. When I consider my looks I give myself a wide berth. I think I’m probably a 4 who if I had put the work in through the years could have reached a 7. Maybe a 7 is wishful thinking. I don’t want be unrealistic. A 4 who’s too high on himself is really a 3 and I don’t want to go that low. Now my wife is much better looking for a woman, than I am for a man. I think this gives my kids a shot. If we take her DNA into consideration I think Arthur and Charles’ looks potential is upped to the 5-8 range. They can totally work with that! I’d never want them to reach 9 or 10 status anyway. People that are too good looking make others uncomfortable and distracted. I need to get the Boys into the 7 and 8 range. I kind of think most woman would prefer to date Paul Rudd than Brad Pitt. You go out with someone who looks like Pitt and more people are staring at him when you go out. You go out with someone like Rudd and you get to be the pretty one whose partnered with a cute guy. Arthur and Charles should shoot for Rudd looks. That would be ideal. 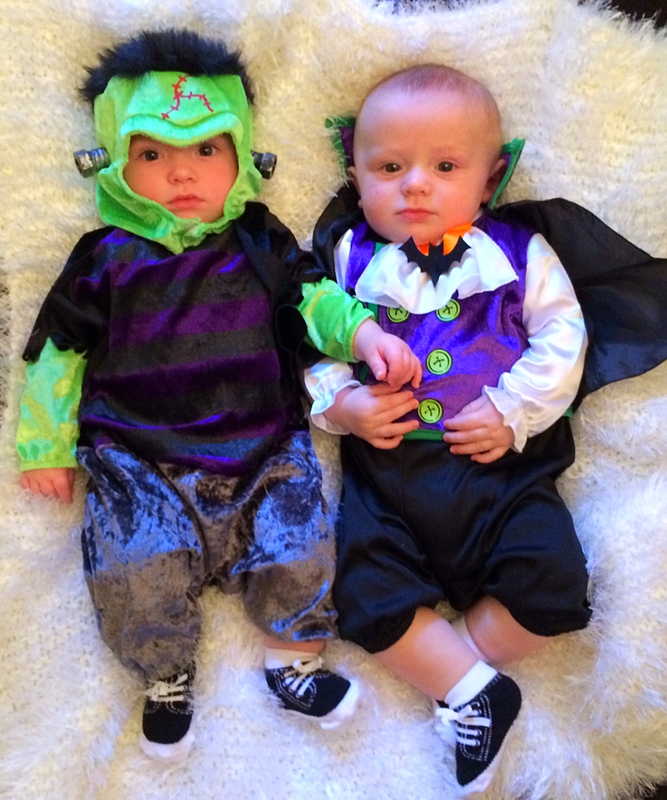 Unfortunately as babies, my babies are clearly falling short. But that’s OK. If it takes them some time to grow into their “Rudd-ness” that’s no problem. These babies don’t remember anything for the first three years. I read that somewhere. That means the stares of disgust and people running in horror at the sight of my two infant sons won’t warp them. By the time they’re three they should have reached a 5 status and people can at least start telling me how beautiful they are even if they’re being insincere. In the meantime, my wife and I can do some cosmetic work on the Boys to get them some more love at the park. July 22 – Charles wins Least Favorite easily. He’s spent most of the week as if he’s a high school girl whose boyfriend broke up with her a week before the prom. There’s lots of crying and failed consoling, followed by a tremendous amount of eating, leading to a five minute period of being dazed, and then back into crying. Sounds like fun, doesn’t it? July 23 – Arthur get Least Favorite Status, not because of anything he did. He was pretty mellow, which virtually every day should keep him out of the doghouse. But, Charles stepped to the plate right before bedtime. As I carried him away for bed, my wife wanted to give him a kiss good night. As I brought Charles’ large melon to my wife’s face she leaned into to give him a peck on the lips and he promptly spit up directly into her mouth. It was simply fantastic! Best laugh he’s ever given me!! Remember, these are My rankings and not my wife’s. Hilarious, I too have had to fight the urge many times. Now that I’m married I can give myself a much more honest evaluation. My wife has already told me she has no energy to find someone new who will tolerate her absurdities so I don’t stress with my 4-ness. So funny! And loved the creepy pictures. PS is Winston available for, you know, walks? Winston makes himself too available. It can be a turnoff. “I usually fight the urge to comment, ‘What’s wrong with your baby? '” I nearly pissed myself!!! Donna, I usually fight the urge to write things much more offensive. I love this !! I have looked after more than 200 babies over the last 23 yeas and believe me when I say that some babies come out looking so strange they are fascinating lol I sometimes struggle with americanisms but more than once I have been sooooo grateful for the word ‘cute’ as it can cover a multitude of sins….I mean, I can apply it to the ‘less than gorgeous’ babies without being struck by lightening for lying ! One suggestion……bearing in mind the pulling power of dogs, it might be a good idea to make sure that your boys always have a cute dog around to attract the girls, just in case your wife’s genes don’t come through ?? ‘I usually fight the urge to comment, “What’s wrong with your baby?”‘: um, sis? Is that you?? 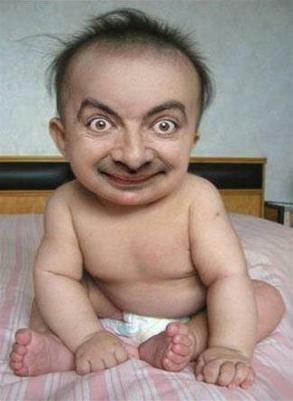 My sister sends me pictures of funny looking babies she sees on facebook! This is hilarious, though your babies ARE cute! 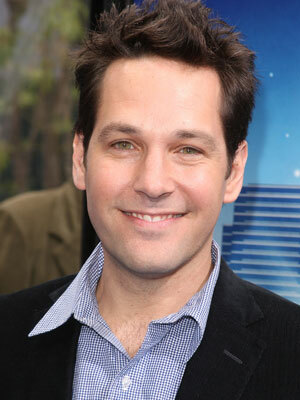 Also, Paul Rudd is MUCH better than Brad Pitt! Get the kids into tap dancing at the first opportunity. If the Ruddness doesn’t happen, they’re going to have to dance for their dinners! You are hilarious and your babies are cute . I try to tell myself there are no ugly babies but I’ve seen some where I actually shoved myself away from the keyboard and yelled “EUUUGHHH”.